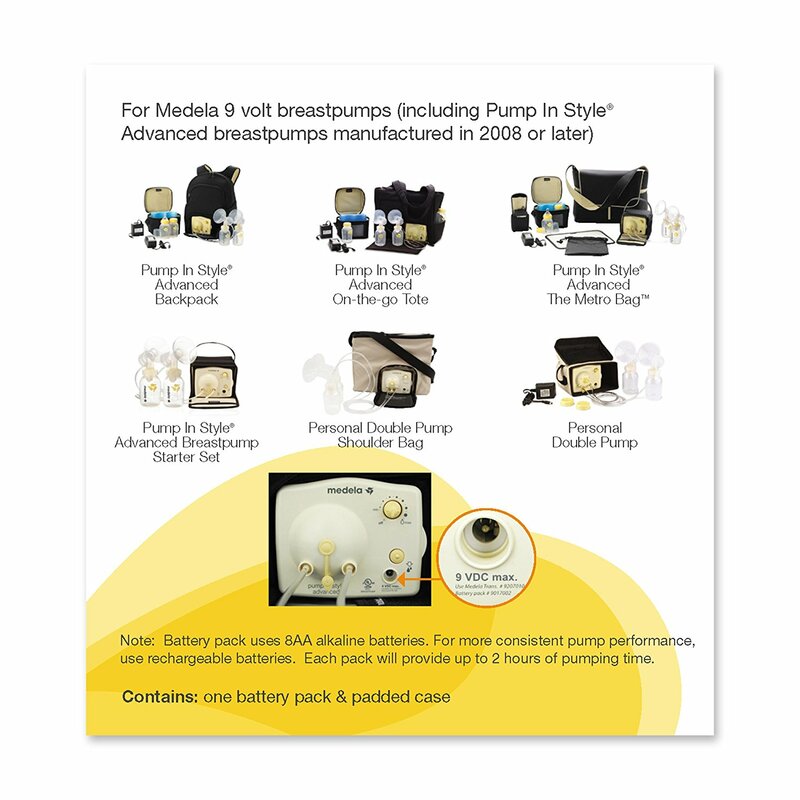 For use with all 9 volt Medela Pump In Style® Advanced Breast pumps. The Pump In Style® Advanced Battery Pack lets you pump anywhere, anytime. 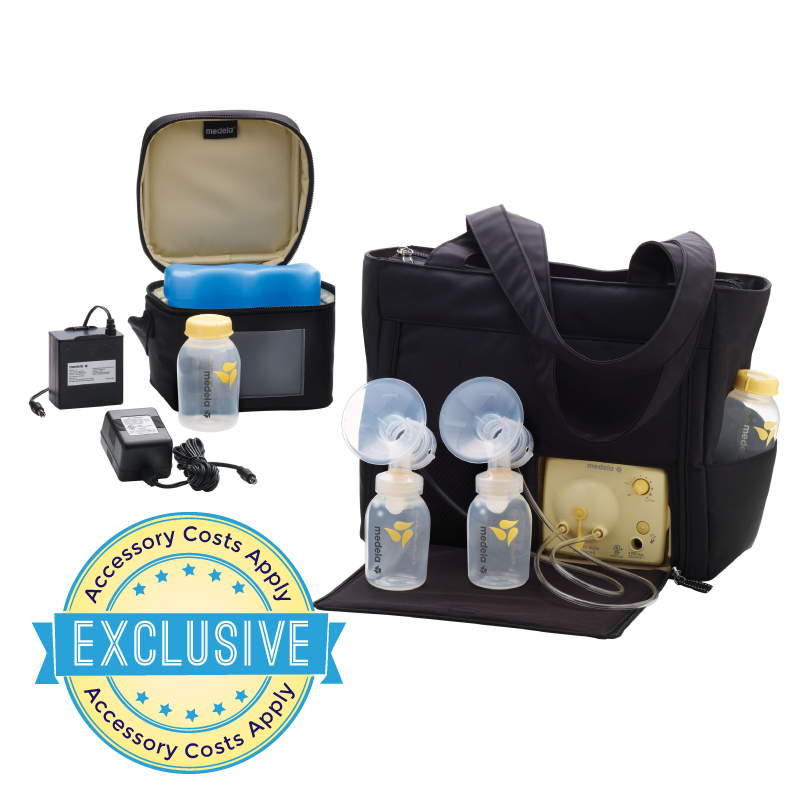 Comes with a black microfiber carrying case that fits inside your breast pump bag, or can be attached to the bag strap for easy transportation. 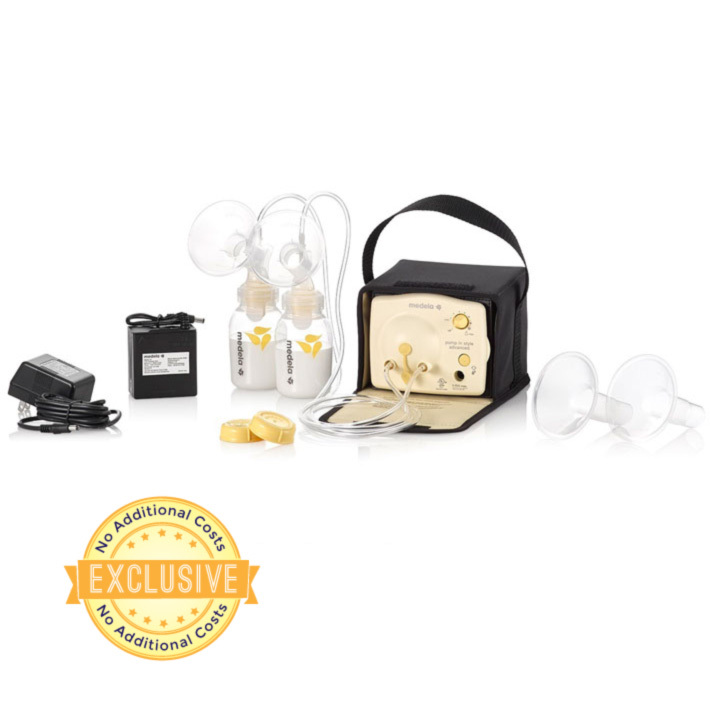 Offers opportunity for moms to customize their pump to fit their lifestyle. 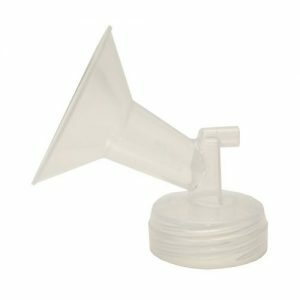 Perfect for pumping on the go, no need to worry about finding an outlet. 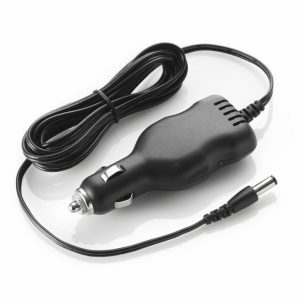 Spare unit for work or travel, replacement unit for lost or damaged adaptor. 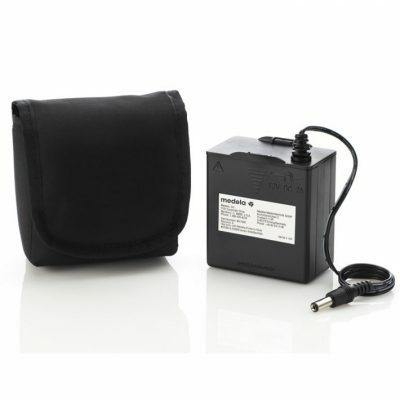 Provides up to 3 hours of pumping time: For more consistent pumping performance, use rechargeable batteries. 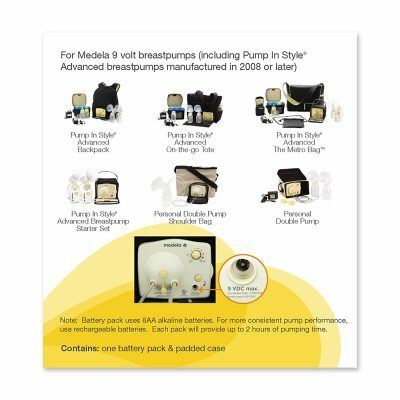 Authentic Medela spare parts. Uses 8 aa batteries (not included). The battery container identification of 12V is referencing total voltage of 8 batteries (DC). 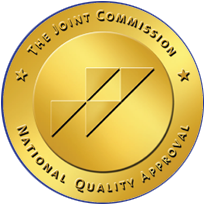 The reference to use with the 9V pump is reference to pump’s using the 9 V Transformer (AC).